B. P. Fulmer has fourteen years of banking and financial services management experience plus twenty-three years of healthcare transaction processing and management experience. Mr. Fulmer is the Managing Partner of Exchange EDI, a healthcare cash flow management company focused on the front end acceleration of the cash flow cycle with B to C, B to B transactions, patient responsibility transparency and accuracy of payer payments. He served as CEO of Thelma-US, Inc., the US subsidiary of ICS Global, Ltd., a publicly traded Australian clearinghouse. Previously he was the Executive Director of ACS Gateway Commercial EDI. In this position he was charged with developing a commercial services unit that operated as part of the ACS EDI Gateway. The ACS EDI Gateway processes over 750 million EDI transactions a year and is connected to 61,000 submitters representing over 250,000 providers. 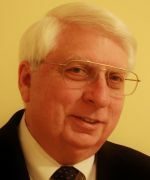 Mr. Fulmer's healthcare transaction processing experience includes responsibility of running the Medicaid Fiscal Agent operations for ACS (A fortune 500 company recently acquired by Xerox) and First Health Services as the Executive Director in Florida, Georgia, Tennessee and New Mexico (twice). He has served as President of a medical billing services company and CEO of MRx Online, an internet based practice management software development firm. This experience gives Mr. Fulmer both the payer and provider prospective of the healthcare transaction processing and operating environments. His involvement in industry professional organizations include serving as President of the Medical Banking Institute and named "Person of the Year" in 2007 by the Medical Banking Project and serving on its advisory board. He has serviced on the HIMSS Medical Banking and Financial Services Steering Committee and currently serves on other HIMSS committees and task force groups including the Editorial Committee for "The Edge" newsletter. Additionally, served on the executive committee of the Cooperative Exchange, Chairman of the HIE Market Council, Health Record Banking Alliance board member, named "Man of the Year" by the Cash Management Institute in 1983 and served on its board of directors. Mr. Fulmer's banking experience includes serving as a bank examiner, correspondent banking, commercial banking, electronic funds transfer plus cash and treasury management services at two regional banks. He also served as COO of WEDCO, an investment management company with $250 million under management. Mr. Fulmer's extensive experience in banking and healthcare plus a track record of innovation in both fields bring a unique prospective of how banking and healthcare can and should interface. The objective should be to streamline and standardize sharing of administrative transaction processing and clinical information delivery platforms/networks. Mr. Fulmer has a degree in Business Management from Southern Adventist University. He and his wife have four children and ten grandchildren. He holds a commercial pilot license, with instrument and multi-engine ratings, and certified under FAA Part 135 Air Taxi / Charter.